The following terms and conditions apply to all parts of the Flagship Fancy Dress website. Your use of the website and any orders that you make will be governed by these terms and conditions. Please ensure you understand them before proceeding. Products can be purchased from the Flagship Fancy Dress website by the following method:*By completing the online order form and submitting credit/debit card details via secure serverAny orders placed by secure server will be confirmed immediately via the e-mail address supplied at time of ordering. It will NOT include card numbers. Receipt of this automatic confirmation does not imply acceptance of the order by Flagship Fancy Dress. Once processed by Flagship Fancy Dress, you will be notified of acceptance of the order. Every care is taken with product images, but we cannot guarantee accurate colour reproduction on your computer. Prices displayed are in British pounds. All products available on the Flagship Fancy Dress website have the price clearly indicated and we make every effort to ensure that prices are correct. In the event that a price is incorrect we will inform you of the correct price and give you the opportunity to cancel the order and receive a full refund. Delivery charges will be displayed prior to completion of your order. Please ensure that you review the total order price prior to completing the order to avoid any later confusion. Every effort is made to ensure that products on the Flagship Fancy Dress website are in stock and can be quickly despatched. We will contact you at the earliest opportunity if we find that we cannot supply an item. In this event, we will offer you either a full refund or allow you to exchange your order for any other available product to the same value. Similarly, we will contact you if we find that an item you have ordered is temporarily out of stock. We will advise you of the anticipated delivery time. If the new delivery time is not acceptable, you may cancel your order and receive a full refund.Our aim is to despatch goods within 24-48 hours of receiving your order, subject to stock availability. This means that you should receive your order within one week if despatched to a UK address. Overseas delivery times are beyond our direct control. All orders will be despatched on these conditions but we will not be liable for any loss caused to you by late delivery. Payment can be made by Visa, Mastercard, Switch, Delta, Solo, JCB or Electron. Credit/debit card details for online transactions will be encrypted and held on a secure server. We also accept payment by cheque or postal order from UK residents. Everyone at Flagship Fancy Dress wants you to be happy with your purchase. 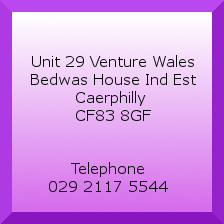 If, however, you wish to return your order, you can send it in it's original condition and packaging to Flagship Fancy Dress, Unit 29, Venture Wales, Bedwas House Ind. Estate, Caerphilly, CF83 8GF, UK within 14 days of receipt for a refund, less postage costs. We strongly recommend that you use a recorded delivery service since responsibility for the goods remains with you until we have received them. In the unlikely event that goods purchased from us are faulty, we will offer you the choice of a full refund or a replacement item upon receipt by us of the faulty item in it's original condition and packaging. In these conditions we will refund the cost of the return postage. Before returning any items to us, please e-mail us. Although we make every effort to ensure that the Flagship Fancy Dress website is always available, we cannot guarantee that access will be continual and error free and will not be held responsible for periods when the website is unavailable. Flagship Fancy Dress will not be held responsible for the content and availability of other sites accessed via an external link from the Flagship Fancy Dress website. 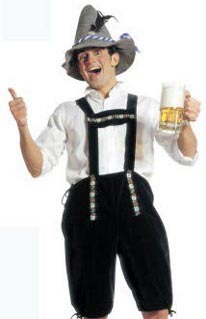 The design and content of the Flagship Fancy Dress website are protected by copyright. You may copy or print any part of the website for the sole purpose of placing an order with us. By registering with the Flagship Fancy Dress website you agree to us retaining your details for use in processing your order(s). We may contact you with information that we believe will be of interest to you. We will NOT pass your details to any other company or organisation, except for the processing of payments, unless required by law to do so. We may use your order information to analyse and review our products and servicesIn accordance with the privacy and electronic communications act passed into law on 11 december 2003 we do not send random marketing emails (spam) to personal email addresses and Flagship Fancy Dress conforms fully with the data protection act, 1998.